Pirates Of The Caribbean: Dead Men Tell No Tales opens in theaters across the nation on May 25th!! In celebration of the big release, I have some fun activity sheets and a bonus Oreo Gold Coin Recipe to share with you all! If your family is anything like mine, we love to create fun recipes and of course… eat them!! 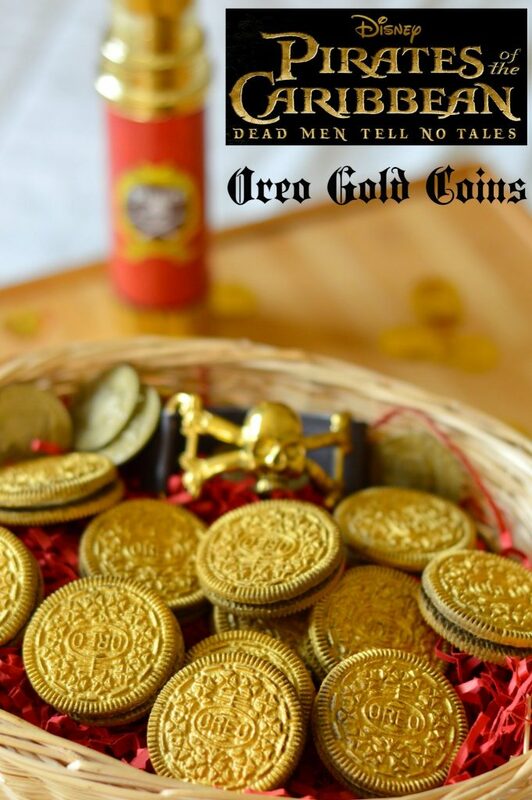 This Gold Coin Oreo Cookie recipe is a hit for any “pirate” party and so easy to do! As a bonus, I also have some activity sheets to share with your junior Pirate! Edible Lustre Spray is kind of like a spray paint that you can eat! I ordered a can of the gold spray to make these Oreo Cookie Gold Coins. Sprayed on both sides, this can can make up to 12 cookies, i.e. edible gold coins! 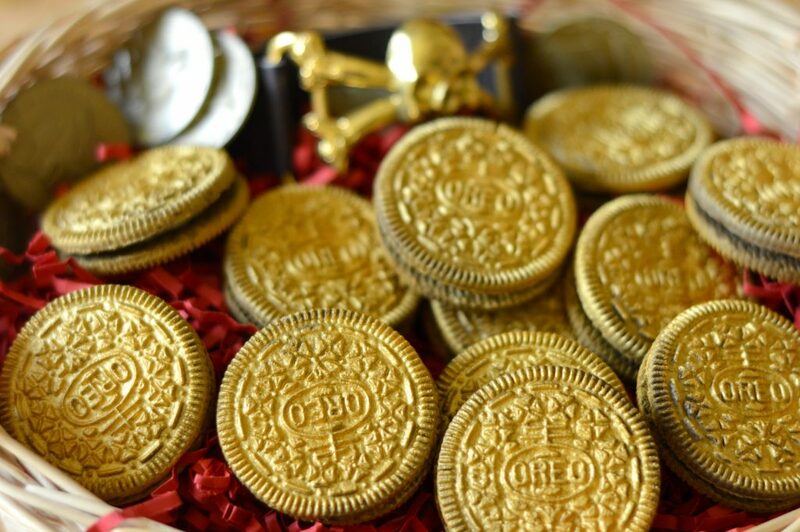 Serve in a Treasure Chest or on a plate, these Oreo gold coins are sure to be a huge hit at your Pirate Party! 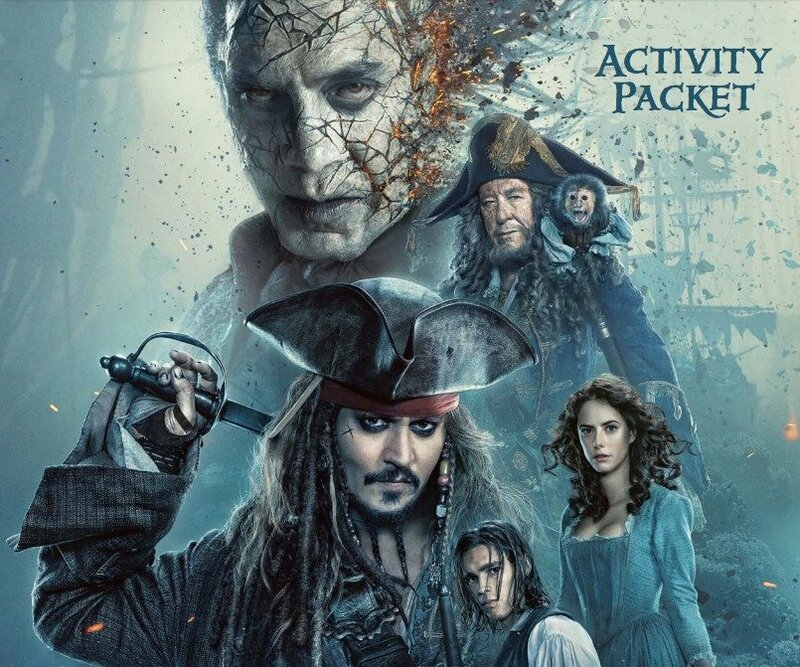 As a fun bonus for your Pirate Party, or just an activity for the Pirate lover in your family, I have some activity sheets to enjoy! To download, simply click the image below and print!